Lamar Campbell is a former NFL DB who played five seasons with the Detroit Lions between 1998-2004. 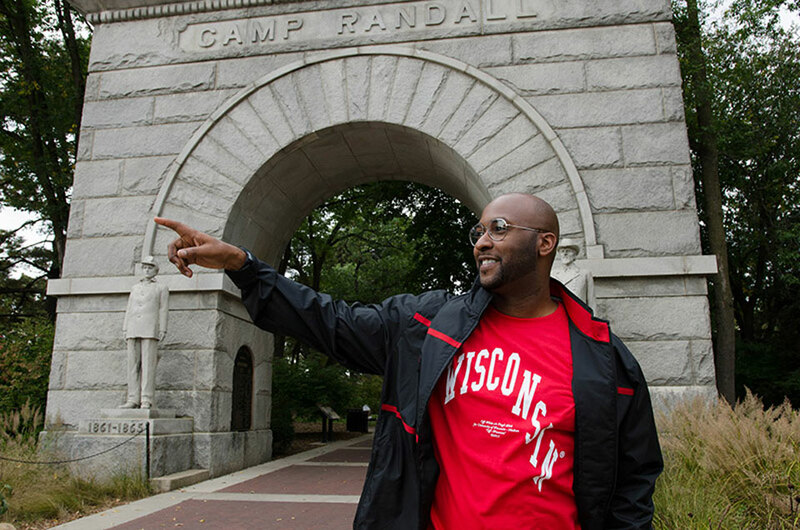 His unique story after the game involves returning to his alma mater, The University of Wisconsin, and going from an Intern to the Assistant Athletic Director for Student-Athlete Engagement within a year. Q: When contemplating retirement, what thoughts were going through your mind? Sometimes the NFL retires you instead of you retiring from it. Q: Whom did you turn to for guidance? I didn’t believe it for about a year. You have that one year where you’re waiting to see if you get picked up by another team, and I had built a good relationship with one of our Assistant GMs, Sheldon White, and he pretty much told me that the NFL is probably over for me. I reached out to a lot of guys in the NFL and NFLPA fraternity to see what they were doing after retirement, but I wasn’t sure. You think you always have a plan, and going into real estate was easy for me, but that was because my family had done it, and it was an easy transition for me, but I would definitely say I wasn’t as passionate about it as I was about playing the game. I had a really good support system. My relationship with my family didn’t change at all. They were very supportive. It’s funny that they knew that I was more than football probably more than I did. The support system was always there, there was never any negative words or negative things. It was always a great support system with my family. Q: Is there anything you wish you would’ve known then? Definitely taking advantage of the organization that you play for. I look back at being a player and going up to the scouting department for the Lions, but the Lions are owned by Ford Motors, so I could have been interning in the marketing department or development, or all these great things with a company that owned the team. And they would’ve opened that door for me. If you have a chance to make it to the NFL, make sure you get a chance to know the organization and the company and let them know what your career aspirations are and take advantage of those relationships. Because they will be there forever, whether you are on the field or not. I had the opportunity to play with Andre Collins in Detroit, and knowing Nolan Harrison – I trust them personally. It was a trust factor. You’re in the NFL and everyone wants a piece of you. But the fact that I had personal relationships with Andre, with Nolan, with Scottie Graham, those were personal relationships with men that I trusted. So, when The Trust rolled out, I didn’t know what to expect, but I knew that it would benefit me in the long run because I trusted those guys. Q: What has The Trust’s Scholarship Award Benefit done for you? Coming back for my undergraduate degree, (my AthLife advisor) Carrie and those guys were great. AthLife, helped me get situated and take a course at Georgia State that would transfer over to Wisconsin. Then, the opportunity to go to the N4A conference through AthLife and meet a lot of collegiate professionals and meet a lot of people in the field that I wanted to be in. From that conference I was able to get back to my alma mater and be an intern for a year and work on my Master’s. Now that I finished my Master’s in December, I recently accepted the position of Assistant Athletic Director for Student-Athlete Engagement. So, going from an intern to an Assistant AD in a year, I can’t take full credit for that. I had a great team, great people and great mentorship around me that helped me to get where I am right now. I’m very happy about that, and the funny thing, I was speaking to someone yesterday about it, I’m a rookie all over again. Title aside, you’re always going to be a rookie in something during your life. I was a rookie in the league, a rookie scout, rookie when I was working with the NCAA, and now as an Assistant AD. Its going to be a lot for me to learn from my mentors here, and I take that opportunity seriously. 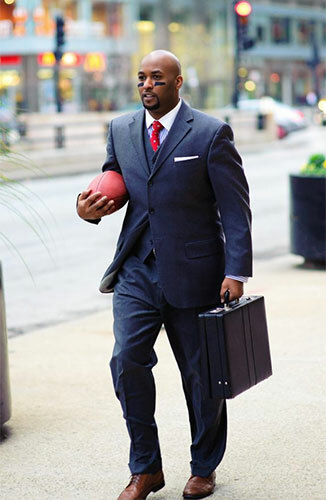 And I want to thank the NFLPA and The Trust for the mentorship I’ve had – I don’t take that for granted. Q: What would you tell another former player who might be on the fence about accessing the Scholarship Award Benefit? I would tell them to put their pride aside. As ballplayers, we have a lot of pride, and it took me a long time to ask for help. I think we have a voice, a position of, we can do everything on our own and compete and achieve this task. But I always encourage them to think about the mindset of, when you won championships, or when you played in college, you didn’t get those championships by yourself. You had a team around you. You had coaches around, you had an administration that believed in you. Take that mindset as you take your journey back to school or whatever your transition might be, and if you can be a rookie once in the NFL and be successful, you can be a rookie somewhere else and become a veteran in that position as well. Q: How has your AthLife Advisor assisted you in your transition? Oh my goodness, my guardian angel! Carrie has been a voice of reason, a voice of honesty, a mentor with her background working in college athletics and her relationships, and it’s not all about the credentials. It’s how you carry yourself and how you have conversations. She has been instrumental in my success, just an amazing experience working with her and AthLife. You want to know what kind of path you’re on. Not only for me as I get older and the injuries I’ve suffered in the NFL, but for me to be in prime condition and shape to work every day. Even though I’m not on the field anymore, I still put in the hours, in the office at 5 am until 9:30-10 at night. And as you get older your body just starts to deteriorate, it’s just what happens to retired players. So, it was important to me to make sure I knew my health and make sure I can get back in shape and had the information in front of me. For me to go where I wanted to go I needed the energy, needed to be healthy and needed to take care of myself. All of that correlates into what you can do out there in whatever job field guys might choose. Take advantage of it. It’s something that you have to know. If you have the blueprint and the foundation in front of you it helps you make better decisions. Take advantage of it. It’s something that you have to know. If you have the blueprint and the foundation in front of you it helps you make better decisions. The decision you make on what job you choose could depend on your medical ailments. If you have a bad back, or bad knee, or migraines, these things affect your work performance, which in turn affects you, and your family, and your lifestyle. So just having that in front of you I think is extremely beneficial, because one thing we can do is make sure we’re on the right track to do all the things you want to do outside of football. Q: What has The Trust done for you? The Trust has showed me that teamwork and support and lifelong relationships just don’t happen in the locker room. They happen after you retire. And that’s how I look at The Trust and the NFLPA. It's that support system just like I had in the locker room, but we don’t play on Sundays, we play seven days a week now.